This past Sunday, Italy’s most prestigious sports car builder Ferrari lost a close, early ally pivotal for sculpting some first defining vehicles. At the age of 91, Sergio Scaglietti passed away after more than 30 year of direct Ferrari contributions. A skilled coachbuilder, Scaglietti brought forth the elegant, lightweight sports car form that has made Ferraris identifiable as an exotic car. Sergio Scaglietti founded Carrozzeria Scaglietti at 31 years of age in 1951 after being involved in the coachbuilding practice since his early teens. Originally operating as a body repair shop, Carrozzeria Scaglietti’s close proximity to Enzo Ferrari’s Modena headquarters led to an eventual collaboration. Starting with a unique four-cylinder sports car called the Ferrari 250 Monza in 1954, Carrozzeria Scaglietti received commissioning to fashion bodies for several more Enzo Ferrari-sourced vehicles for the years afterwards. Known as more of a sculptor of sheetmetal rather than a designer, Carrozzeria Scaglietti would also assist other automotive industrial artists like Pininfarina in bringing car creations to life. 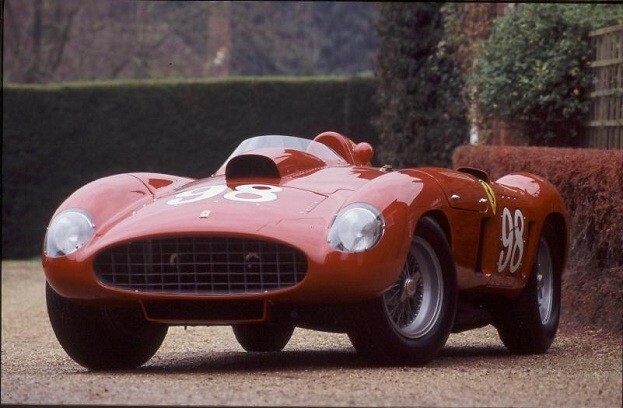 Becoming the most iconic example of Carrozzeria Scaglietti’s labour was the 1958 Ferrari 250 Testa Rossa race car. Fabricating a strikingly appealing vehicle around a 3-liter V-12 engine, the 250 Testa Rossa was an organic shape that only skilled craftsmen in Italy like Sergio Scaglietti could create during the golden age era in sports cars. Standout design features formed by Carrozzeria Scaglietti included exaggerated ‘pontoon’ fenders and a headrest bump behind the driver seat. It was reported while Enzo Ferrari disliked the headrest bump, son Dino was won over by the Sergio Scaglietti design touch. The Scaglietti design Ferrari 250 Testa Rossa won the 1958 24 Hours of Le Mans and gained a reputation as one of the more beautiful race cars of the time. Though much of the activities of Sergio Scaglietti are linked to Ferrari, a United States connection leaves Corvette historians admitting and celebrating the Italian man’s contributions. Texas businessperson and recreational sports car racing enthusiast Gary Laughlin commissioned the Carrozzeria Scaglietti to create a competition-quality vehicle based on Italian design principles. A Chevrolet dealer, Laughlin’s pursuit for Scaglietti was initiated when high repair costs for his Ferrari race car committed him to look at the Chevrolet Corvette as the basis for performance. Through a conception process, future sports car legends Jim Hall (builder of the Chaparral) and Carroll Shelby (creator of the Cobra as well as modified Ford Mustangs) were at that time Ferrari drivers guiding Laughlin to the Carrozzeria Scaglietti shops. The Scaglietti Corvette combined the lower, more sensual aerodynamic look along with the performance of a 290-horsepower, fuel-injected 283 cubic-inch V-8 engine. In hopes of some sustainable production, only three Chevrolet Scaglietti Corvette were built off 1959 car frames. Sergio Scaglietti sold his coachbuilding operations to Ferrari’s parent company Fiat which was later transferred directly to the sports car company. Scaglietti remained an integral figure inside Ferrari through to the 1980s managing body fabrication. Years following Sergio Scaglietti’s service, the Italian sports car maker paid living tribute to Enzo Ferrari’s trusted coachbuilders when naming their 2+2 sports car in 2004. The Pininfarina-designed Ferrari 612 Scaglietti carefully retreads on the 1950s coachbuilder’s work replicating it to 21st century technology. The Ferrari 612 Scaglietti production was retired (replaced by the Ferrari FF), long enough for the inspiration to watch over the sports car manufacturing from afar crafted from the former Carrozzeria Scaglietti plant. 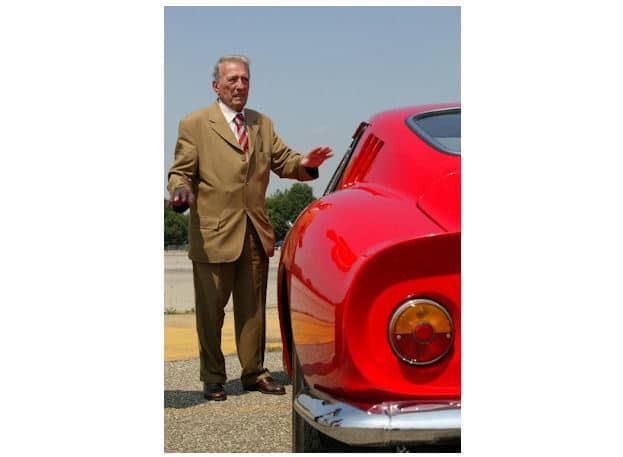 No Comments on "Ferrari Fans Mourn Passing of Pioneer Coachbuilder Scaglietti"